I am not sure when my interest in jazz music started, but I am sure it was early in my life and it started with cinema. My mother used to take me to cinema as soon as I was able to walk. She loved to see new movies and I was her passport to avoid unwanted attention in a male dominated society of the time. The music in these movies where different kinds of jazz, mostly big band. This was before rock n' roll started to be known in Iran. 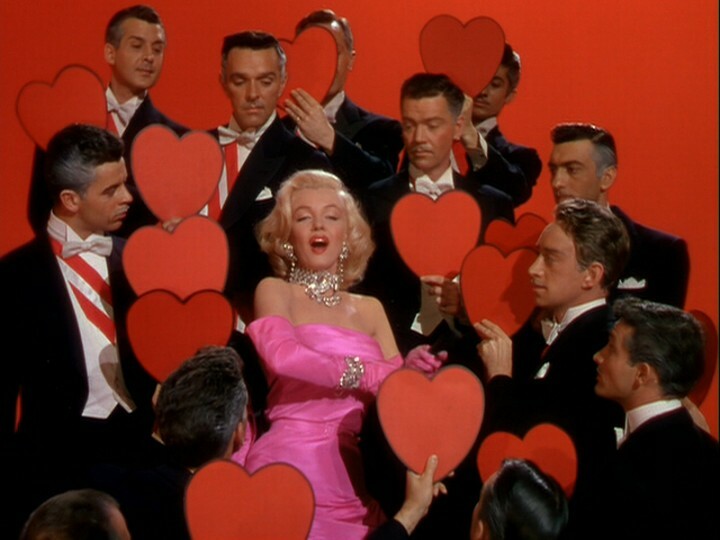 I remember the films like Gentlemen Prefer Blondes (1953) with the song Diamonds Are a Girl's Best Friend. I looked with fascination to the trombone players on the big screen. Before the film was started, they usually played contemporary hits of the time, which were usually Latin American music; pieces by Perez Prado and the like. The orchestration and the color of the music was engraved in my heart. 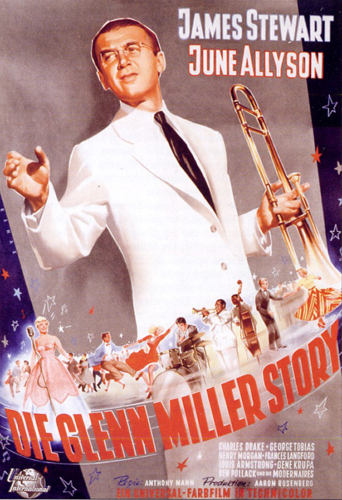 Then I saw The Glenn Miller Story, a 1954 film. I think it was a 1957 or 1958 re-screening of the film in Tehran. I vaguely remember my mother telling me about the kind of music that was played in the movie, and I think that was when I first heard the word jazz. 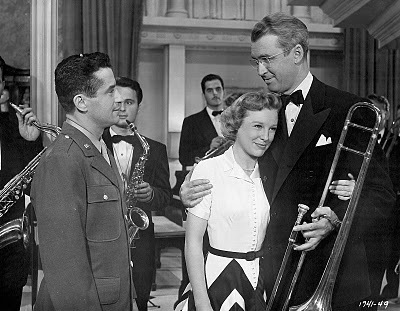 I vividly remember the scene when their plane was crashing and Glenn (James Stewart) and the band played on, and the camera tilted to show the crashing plane is diving to its sad fate. After that film I saw a mock-trombone in a toy shop and my parents bought it for me. I was disappointed later when I noticed that unlike the real thing the tube was not long enough to go behind my head when I am playing it. 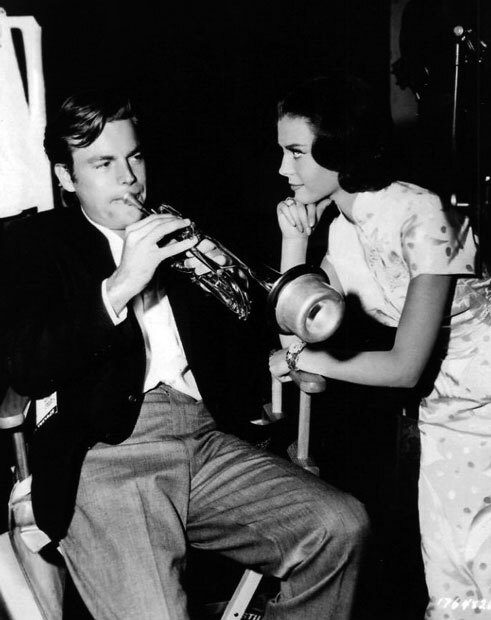 Then there was this Natalie Wood film All the Fine Young Cannibals (1960) with the story about a trumpet player (loosely based on Chet Baker) played by Robert Wagner. There was a jazz funeral scene in the film, and I remember the amused reaction of the crowd in the cinema to the song's change of tempo and mood from somber to jubilant. I remember I enjoyed the music in the film, and when we were home I tried to play similar style music on my toy trombone. That didn't work and I was content playing songs in the vain of Summertime with my lips, imitating a trumpet. A jazz club scene in one 1960s 'mondo' film, the name of which I don't remember, was also an influence on me. In the scene a jazz combo (trio?) was playing in a NY club. The relaxed young audience were listening in enjoyment while some were holding their drinks in their hands. The mellow mood of the music and of the audience added to my perception of what a jazz performance and its fans look like. Television came to Iran in 1958. 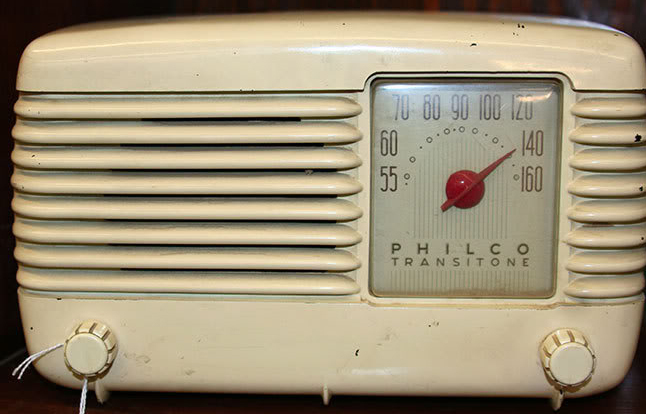 Radio had appeared much earlier, in the 1930s. But the first jazz programme was aired in Iran in the early 1960s. 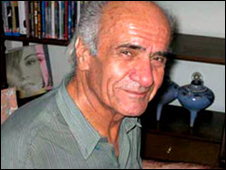 Fereydoon Farhat had a weekly radio show called Jazz, the Music of Blacks. 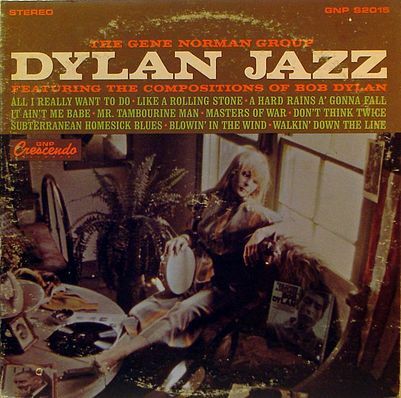 He selected nice mainstream jazz albums and briefly introduced the musicians. Another Jazz programme was presented by Fereydoon Naseri. He was an educated classical musician who later became a well known classical music conductor in Iran, but at that time he used to play in the Tehran Philharmonic Orchestra, and also produced musical programmes for the radio. His weekly Jazz show was called Jazz, the Music of Our Century. It was through Naseri's show that I found King Oliver and especially Charlie Parker. Almost at the same time AFRTS, the American military corps radio was playing jazz on a weekly basis. I used to listen to Bobby Troup's show All That Jazz on that station. AFRTS also operated a television channel in Tehran. The series Peter Gunn was shown on this channel for a while and I liked its music, including the main title written by Henry Mancini. The 1979 revolution ended the jazz shows of the Iranian radio. I had to listen, through heavy static, to The Jazz Hour, Willis Conover's show on the VOA. In 1960s and early 70s the Beethoven Record Store was the best music shop in Iran. Karim and Rahim Chamanara, two Iranian turk brothers, with their tasteful aversion to music, and good business sense, managed the shop and provided nice classical, jazz and pop LPs for their customers. The sound system at their store was so good I used to go there and pretending to be interested to buy, listened to some tracks of my favorite jazz LPs. I guess I bought at most three LPs form them in a 13 year period between 1963 to 1976. 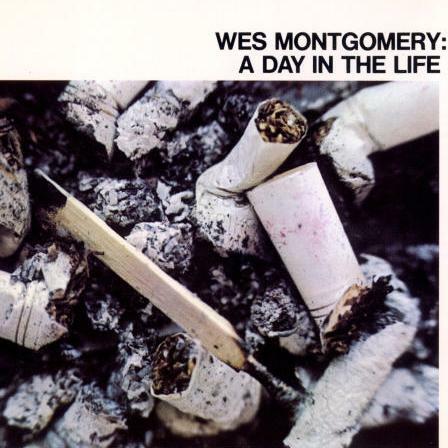 One was Wes Montgomery's A Day in the Life which later I lent to a high school friend, never to see it again. 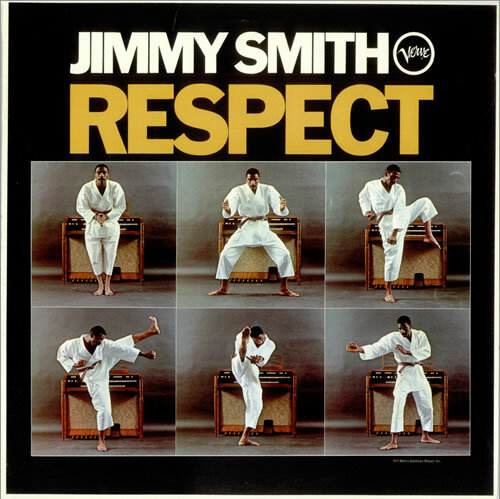 and the third was Jimmy Smith's Respect album, on the cover of which he appeared in Karate garb. 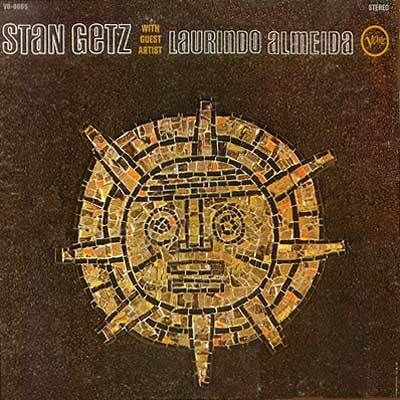 One LP that I didn't buy was Stan Getz With Guest Artist Laurindo Almeida, but I listened the song Menina Moca in the store and till this day when I listen to this song it reminds me of the Beethoven Store and Karim Agha saying to me 'two heavyweights are in the ring', refering to the two artists.